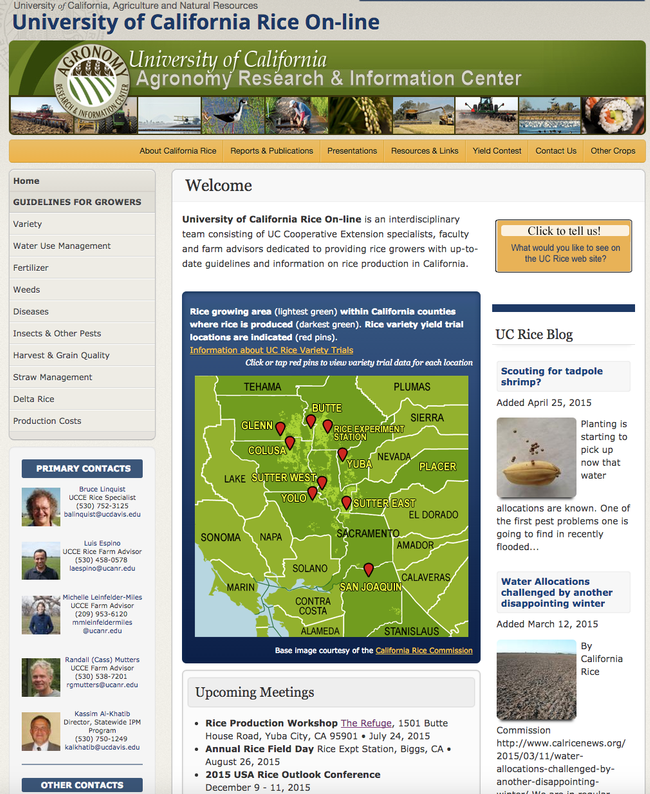 The University of California Cooperative Extension Rice site (UC Rice On-line) has been updated with a new look and a lot of new information which we think you will find useful. 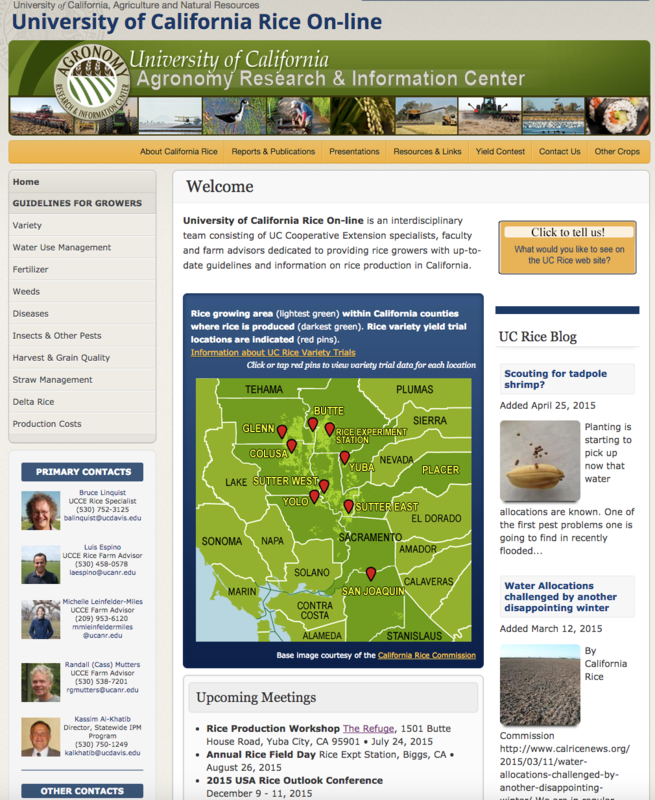 Thanks to support from UC ANR and UC Davis (Department of Plant Science), we have been able to hire a webmaster to develop this site and keep it maintained. On this site you will find rice management guidelines (variety selection, nutrient and pest management, water use, straw management), presentations from recent meetings, production costs, links to the UC Rice Blogs and newsletters, dates and venues for upcoming meetings, contacts, and links to other important rice sites. We invite you to visit the site and take a look. We want to make sure this site is relevant and meets your needs, so your comments are more than welcome. Just click on the "Click to tell us!" button and leave your thoughts. The address for the site is http://rice.ucanr.edu/; however, if you use the old address you will still be directed to this site.